The first three servers of the NorNet Core/MELODIC integration are now in production use. 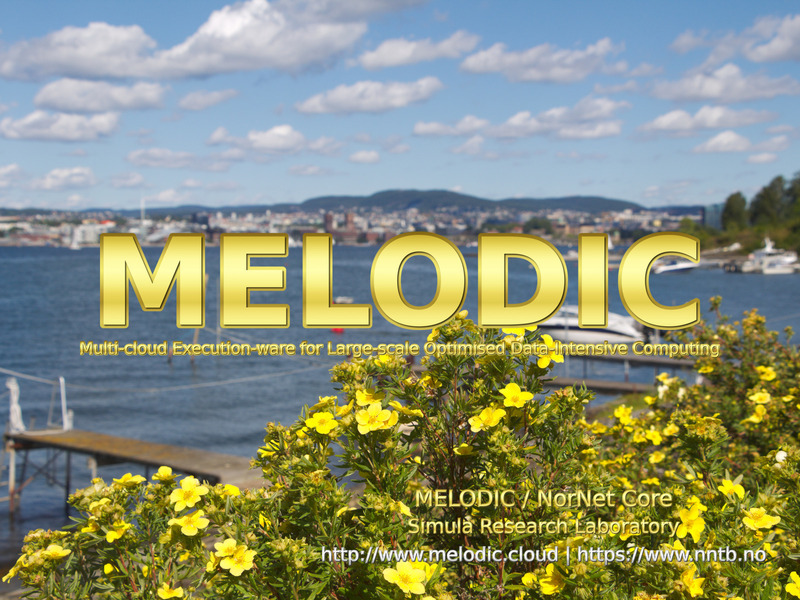 The vision of the MELODIC project (Multi-Cloud Execution-Ware for Large-scale Optimised Data-Intensive Computing) is to enable federated cloud computing for data-intensive applications. Furthermore, it provides the user with an easy-to-use, unified cloud environment, which hides the complexity of a multi-cloud. The NorNet Core/MELODIC integration combines OpenStack-based cloud systems with the geographic distribution of NorNet Core sites to provide a realistic test platform. OpenStack Compute and Storage Nodes troll.simula.nornet and huldra.simula.nornet: with Nova (OpenStack Compute Service), Neutron (OpenStack Networking) and Cinder (OpenStack Storage Service). All systems use the latest release «Pike» of OpenStack. The NorNet Core/MELODIC integration will soon bring new features into NorNet Core, particularly the easy deployment of custom VMs (e.g. for CMT-SCTP experiments with FreeBSD, MPTCP experiments with custom Linux kernels, …). ← Previous Previous post: Happy Mid-Autumn Festival!